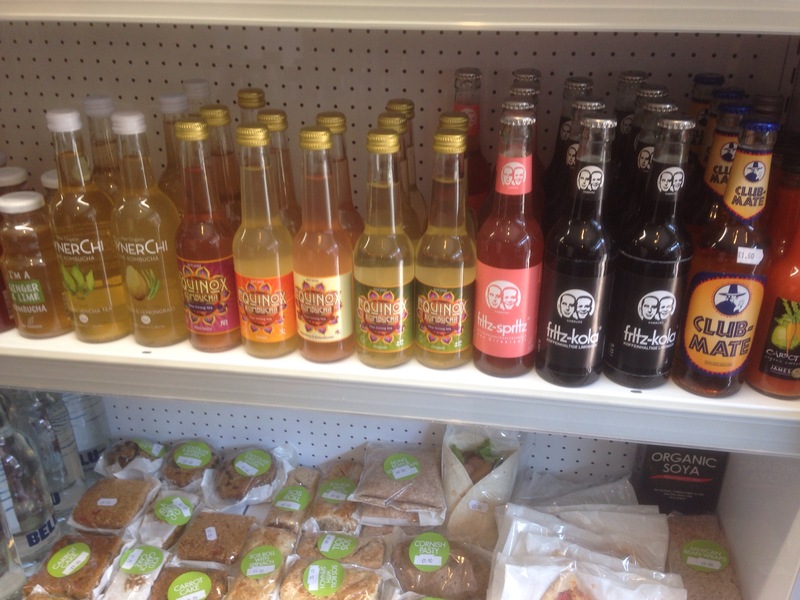 #TastyMorsel: Now open Natural Healthy Foods, Birmingham. 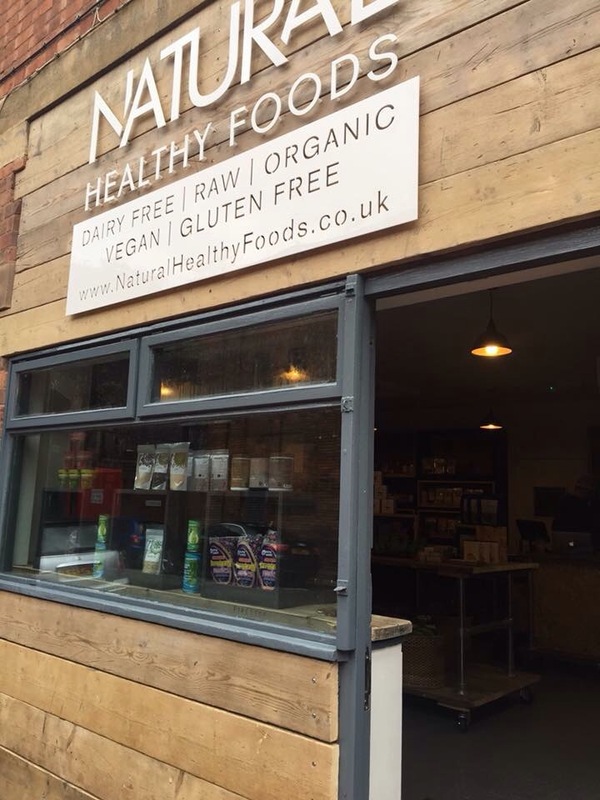 What was once the 100% Vegan shop has now become Natural Health Food. 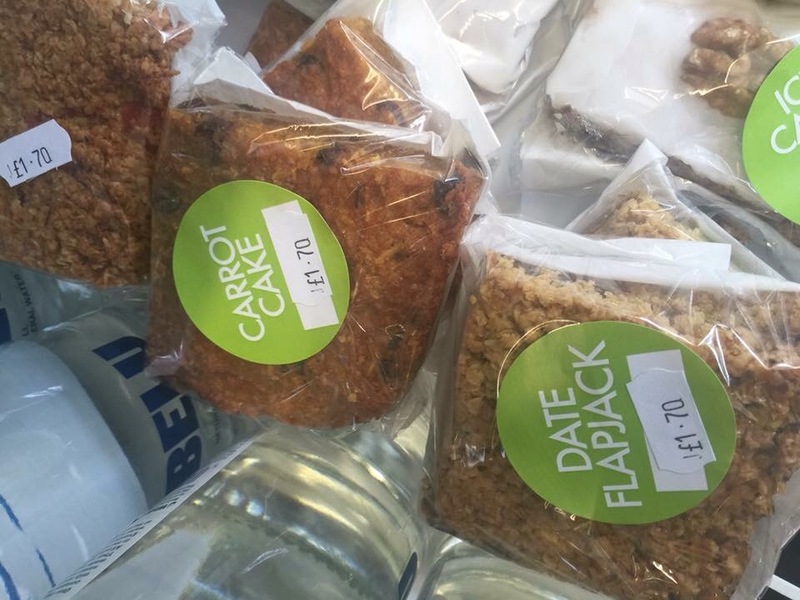 Still based in Allison Street, Digbeth in the same building as Veggie/Vegan The Warehouse Cafe, it’s expanded its stock and had a complete refurbishment and hence double quick relaunch. 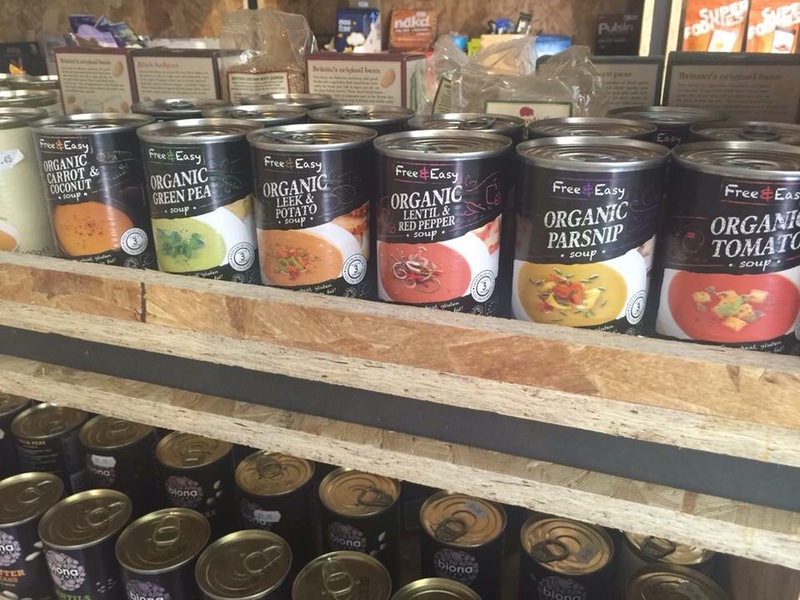 Lovers of Vegan, raw, Gluten Free, Organic, dairy free and Vegetarian and healthy plant based food will love it’s packed shelves in Birmingham City Centre. 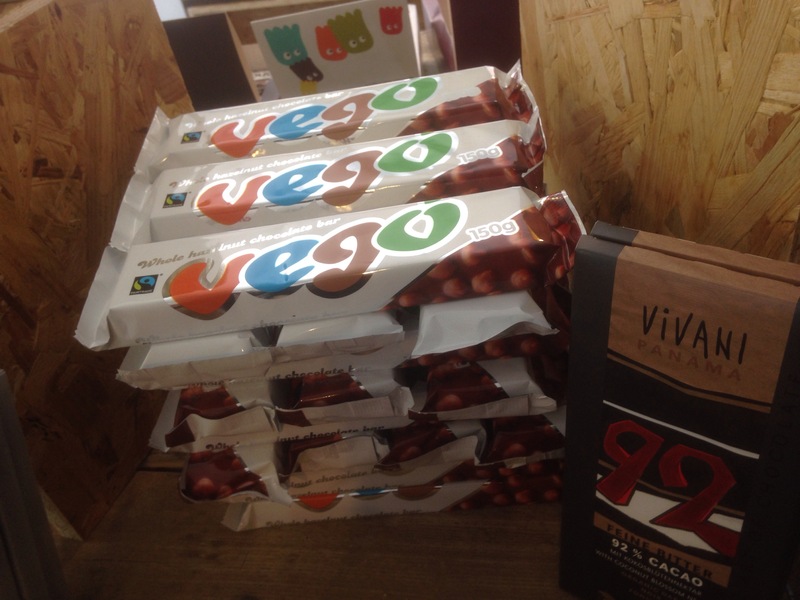 It’s genuinely a one stop source for health and nutrition based goods that are very tempting. 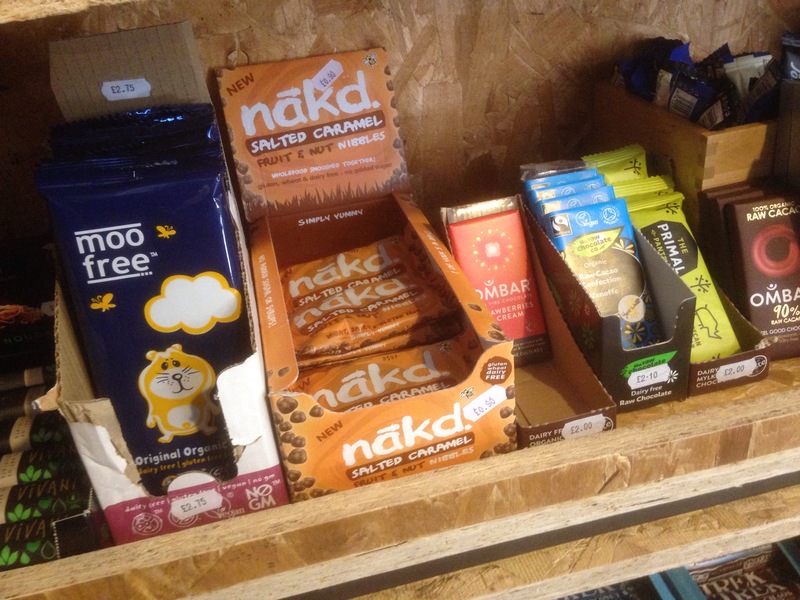 I visited last week and was impressed with the stock on offer in the shop, which was very varied and catered for Vegans, Gluten Free and Raw food diets as well as vegetarian. 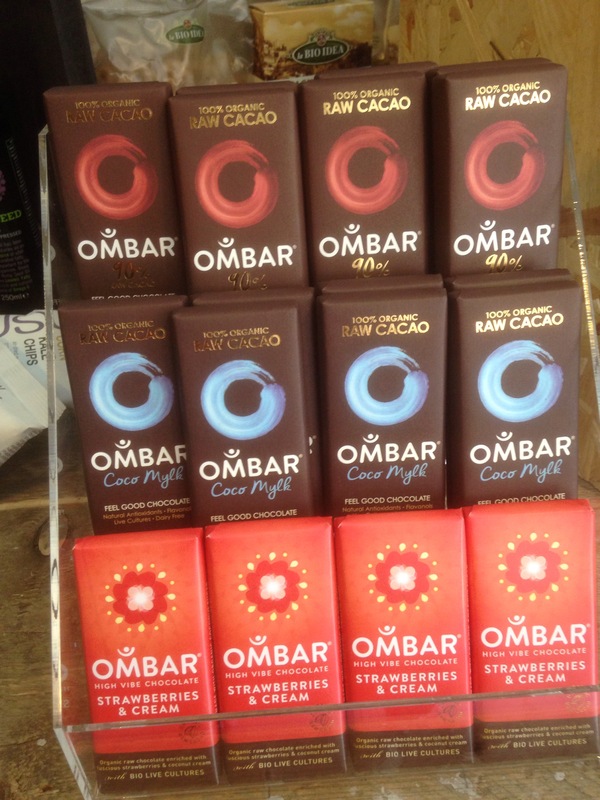 The staff are friendly, enthusiastic, passionate and had a good knowledge of the products. 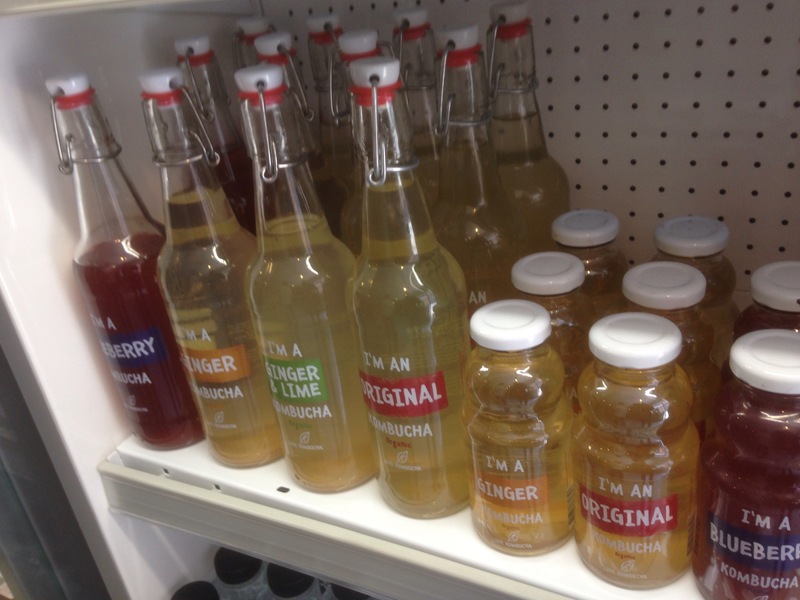 I spoke with the owners Simon and Susan who were genuinely interested in the products they sold and especially the health benefits of reducing or cutting out sugar from your diet. 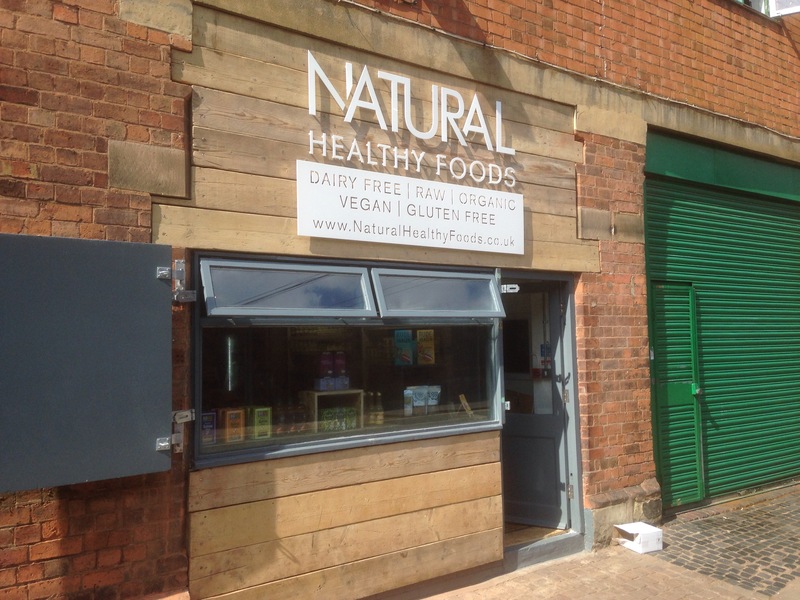 Natural Health Food are in the process of setting up their website which when completed will allow the customer to purchase the products in the shop and more online to be delivered to the home. They are open to suggestions as to what stick they sell and what the customer would find useful and would like to see displayed. 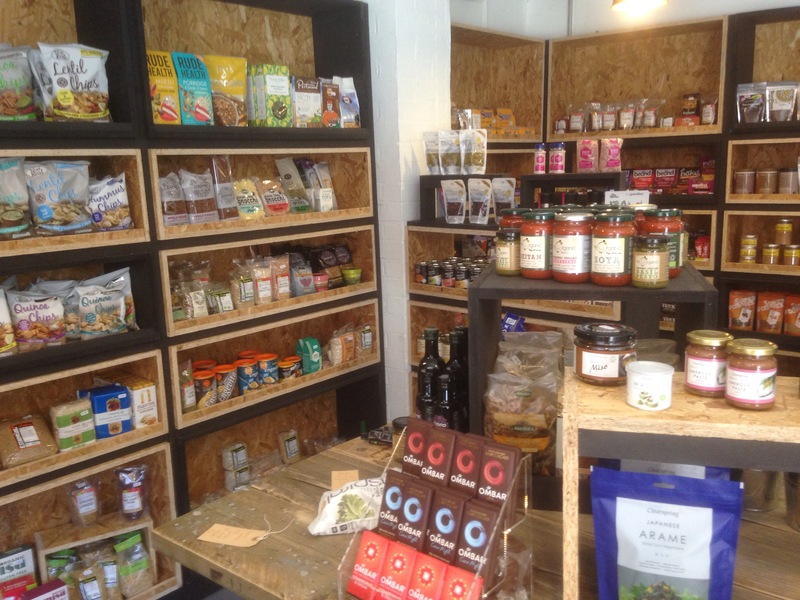 I found the shop beautiful presented, with real wooden shelves and cases to display the products which I was told was handmade for them locally to the shop, and gave the products an organic feel and look. They looked as if they belonged in the room and were presented in a very clear and ordered fashion. It was very easy to browse and find what you would need. 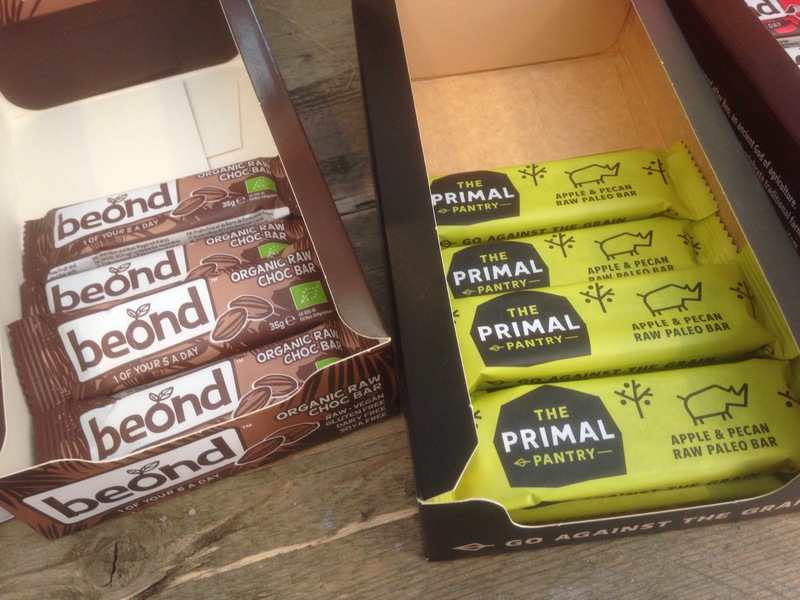 What Natural Health Food are attempting to do is encourage a more plant based diet, and fashionably reduce the amount of sugar we eat in our diets by promoting those products as an alternative. 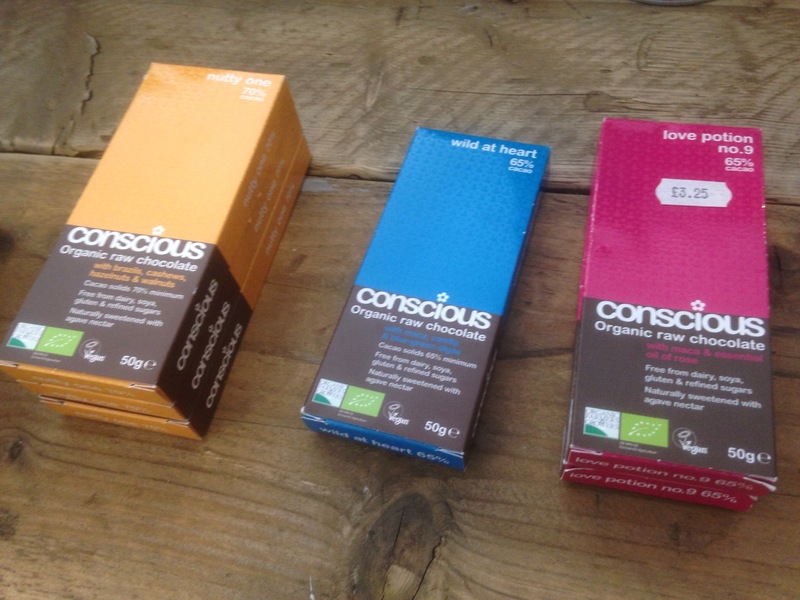 The products I tried had zero sugar and you couldn’t tell, as the natural sugars gave the kick to the bars that compensated for this. In fact the moisture of the juices came through. This was especially true of the Raw Health bars. 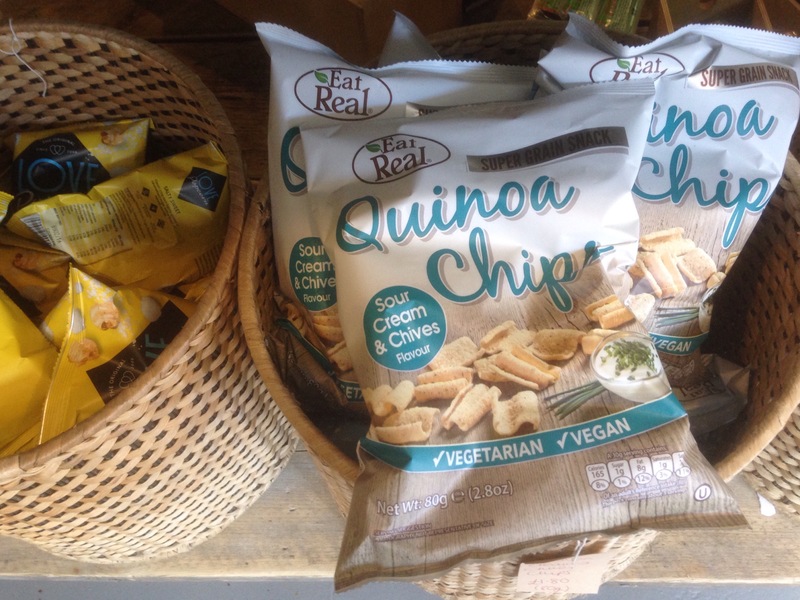 The face of health and vegan stores is changing as more products come to market. I’ve noticed the packaging is brighter, more inviting, more professional. The products are superior and you can feel the benefits and differences when you try them. 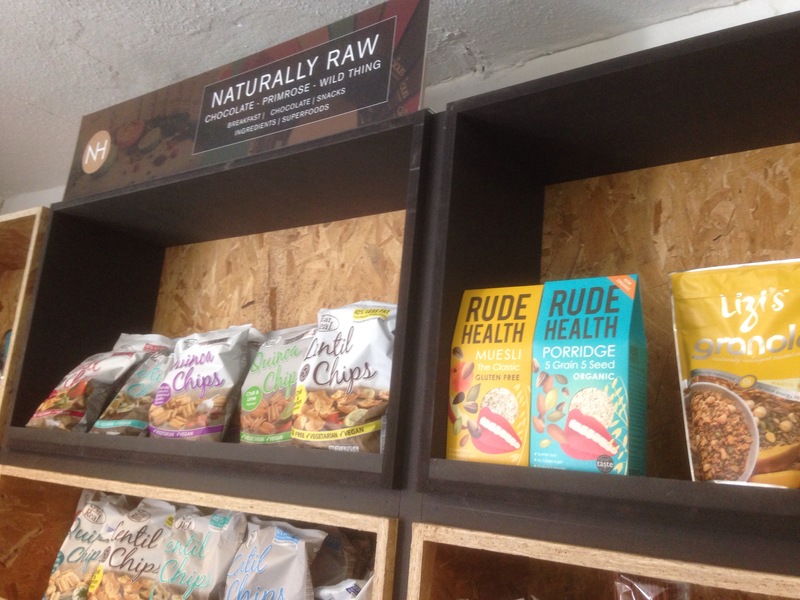 What the Natural Health Food Shop are doing is embracing that change. 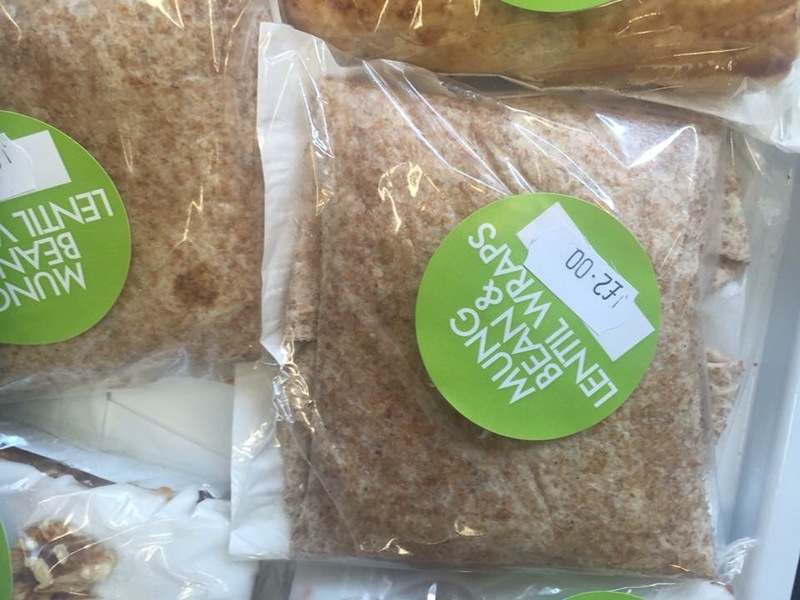 This is good news for Bimingham and anyone who cares for what they eat and drink. There are plans to introduce make up and more beauty products too. Obviously cruelty free, vegan and organic. 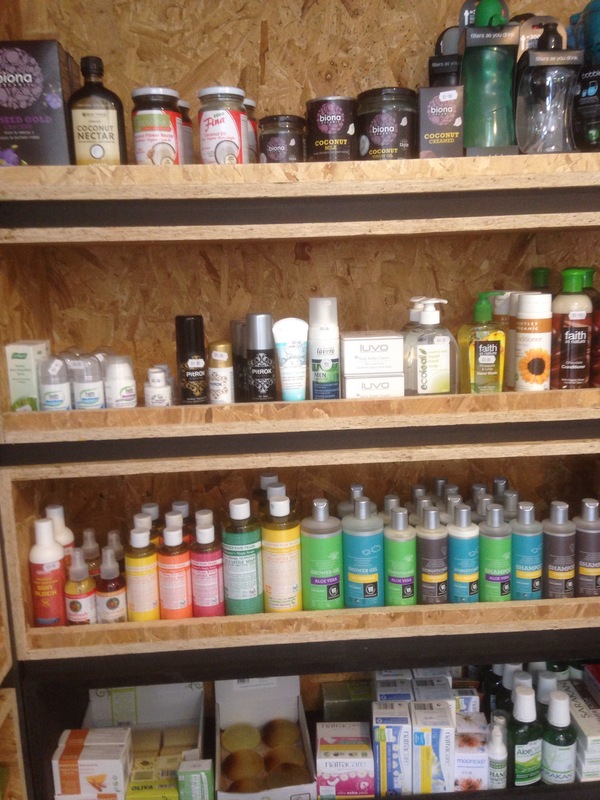 They already stock a fine selection of toiletries such as shampoos, shower fells and deodorants etc. I’m looking forward to returning soon and buying some more and seeing how things are progressing. 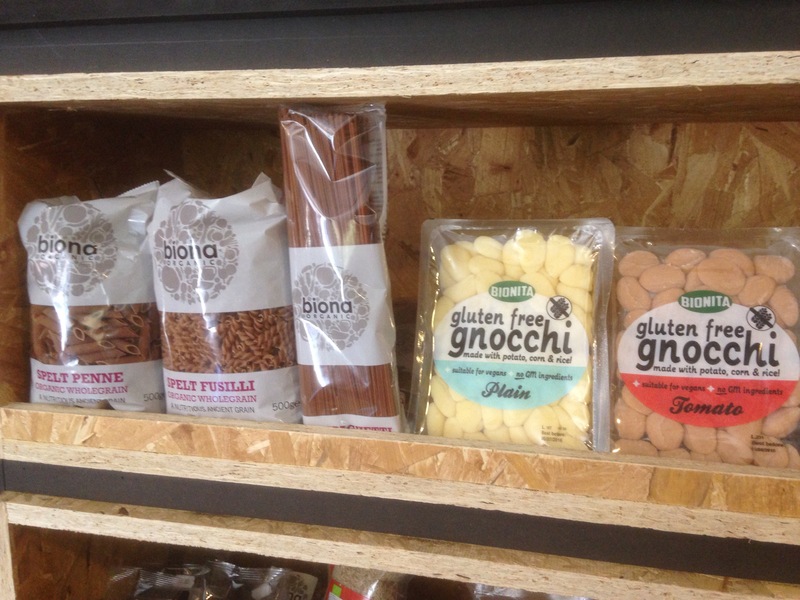 Products sold from, health bars, drinks, chocolate, snacks, gluten free products from pasta, gnocchi, flour, bread. 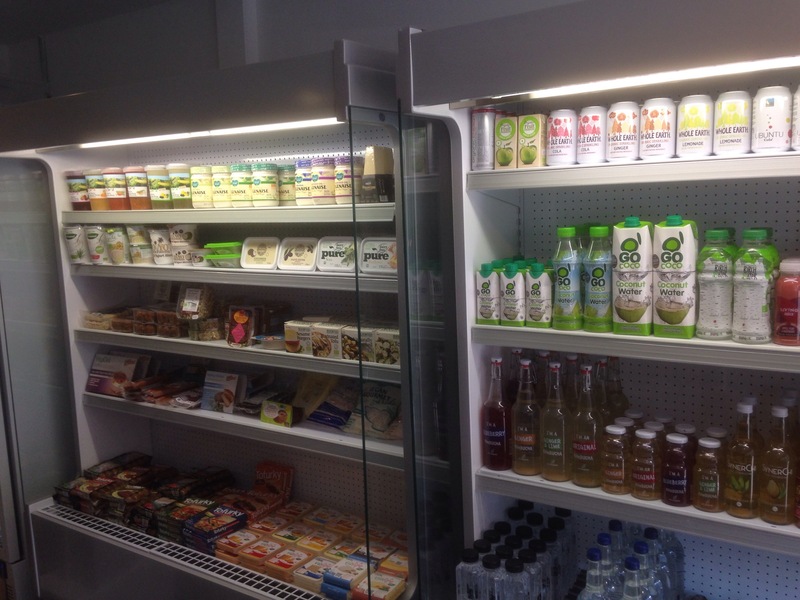 Plus tofu, Ready meals, Fresh soups, toiletries, dairy free products, coconut water, teas and coffee. Plus many more. 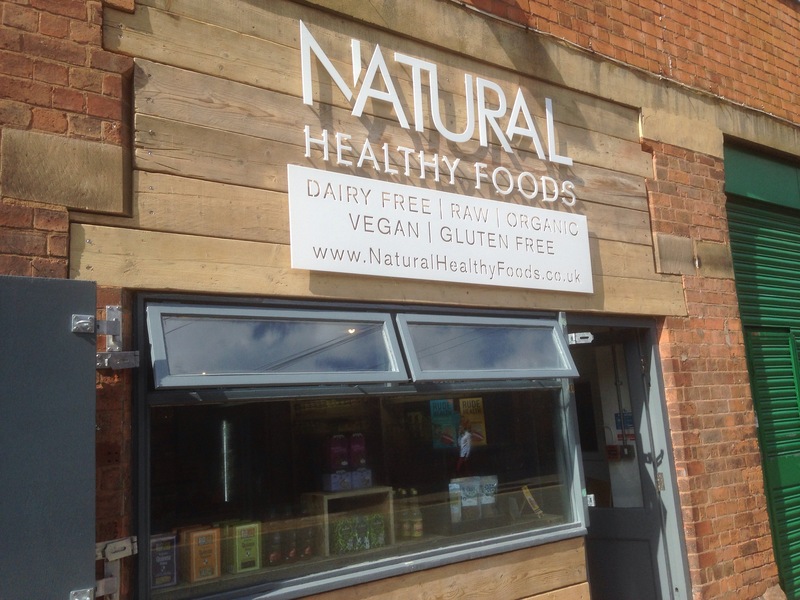 Natural Health Foods is a one stop shop for health and nutrition and being independent is a business well worth supporting and enjoying. Allison Street, Birmingham B5 5TH. 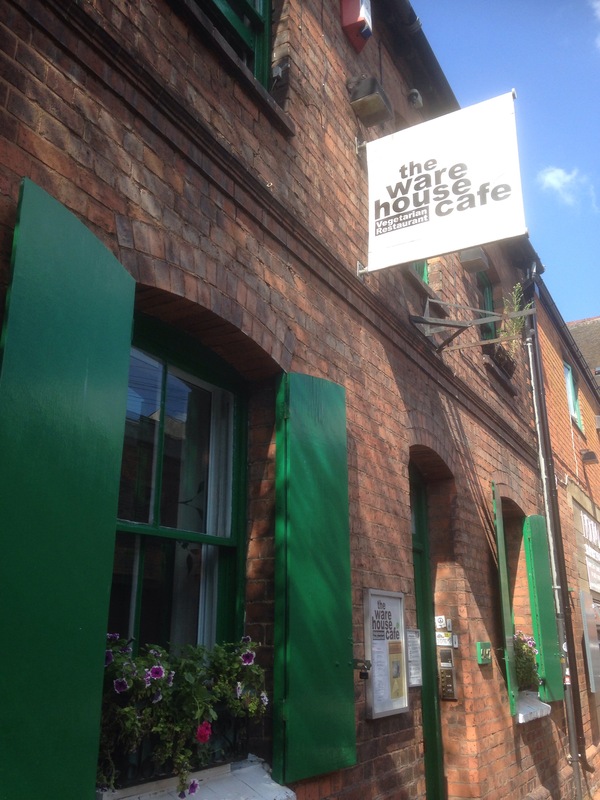 Next door to The Warehouse Cafe. 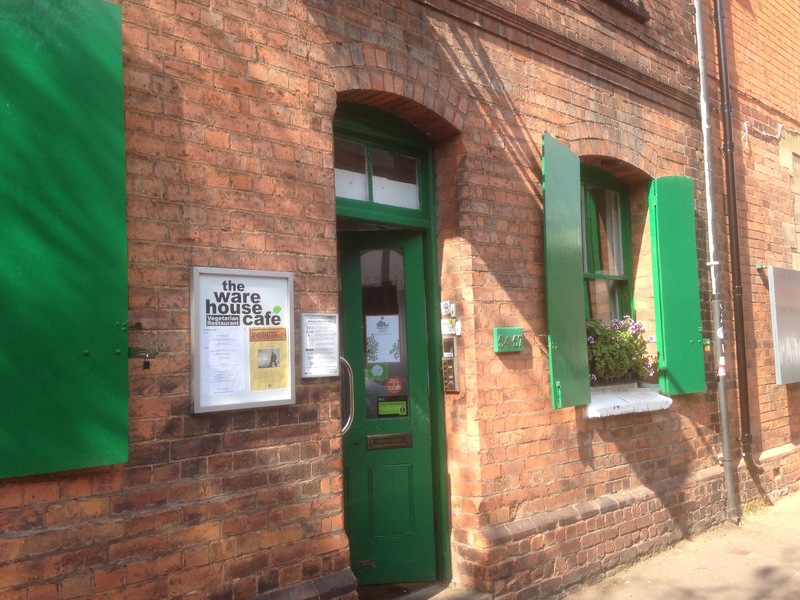 Birmingham’s original Vegetarian Restaurant. Pop in for lunch and dinner. In fact combine the two. 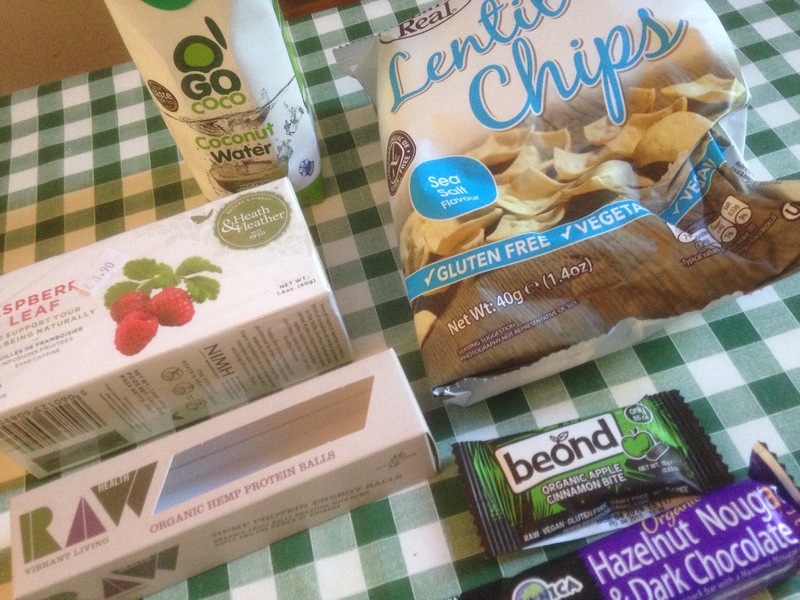 Goodies kindly given to me by Natural Healthy Foods to sample. 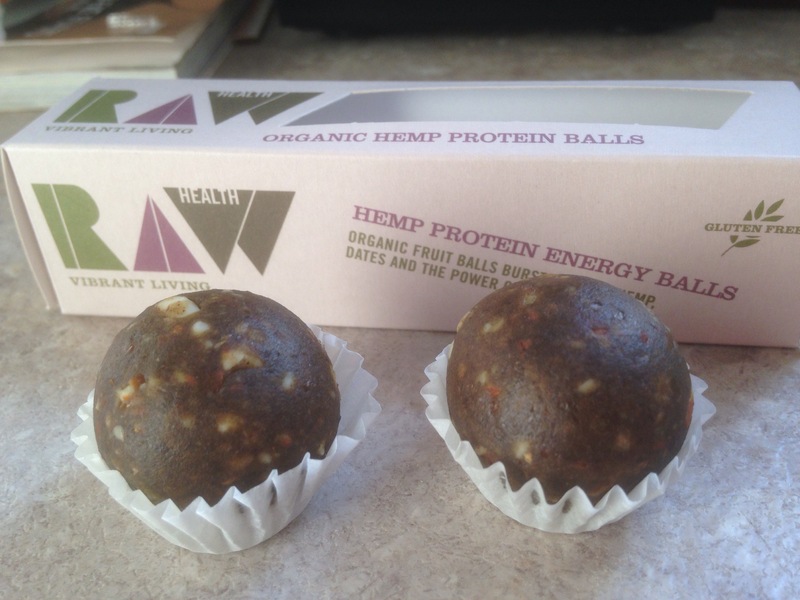 In particular the Raw Hemp and Protein Balls made by Raw Health were delicious: organic fruits bursting with dates and the subtle hint of orange. 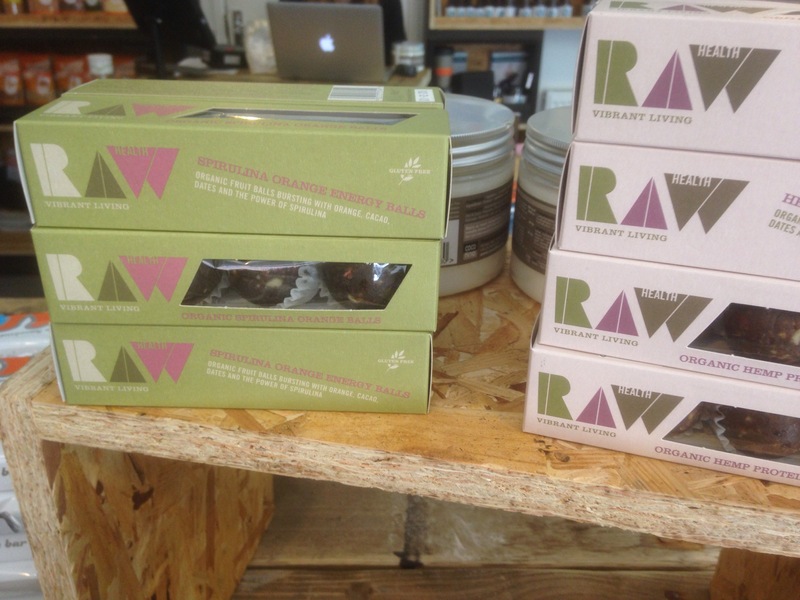 Using raw organic ingredients, Raw Health soak and sprout the ingredients to bring their natural vitality to life. Using low temperatures to make them in order to keep the health giving nutrients and enzymes alive and well. Very enjoyable. 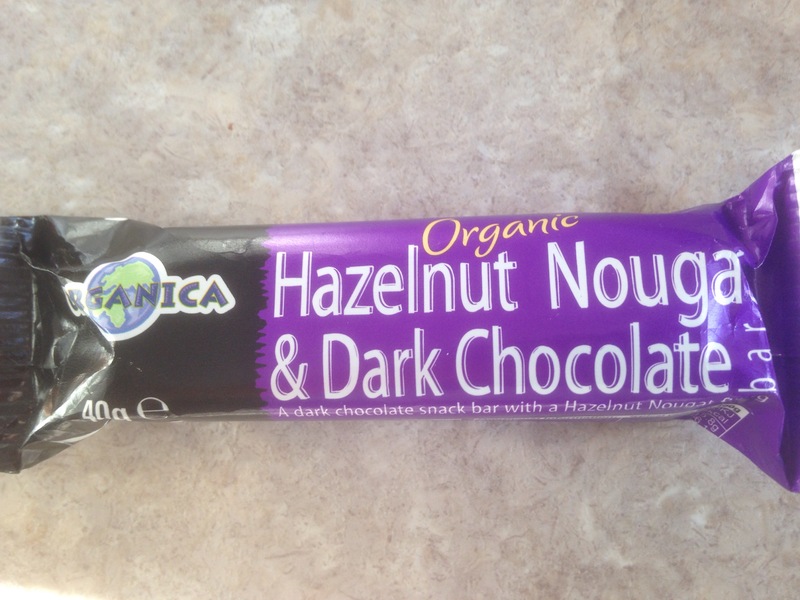 The dark chocolate snack bar from Organica, Hazlenut nougat. 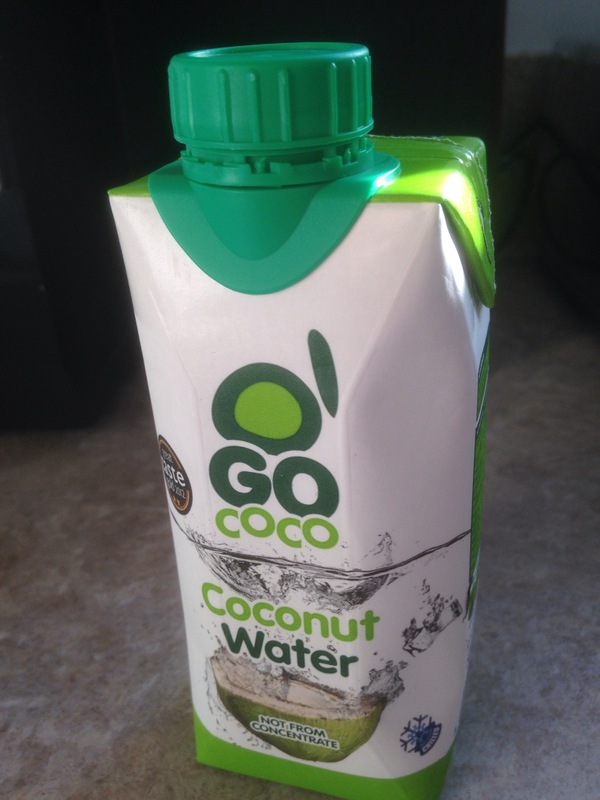 I also enjoyed the Coconut Water from Go Coco, which had a lovely sweet tasting and natural flavour. It tasted very refreshing and isn’t from concentrate. Includes 5 essential electrolytes. 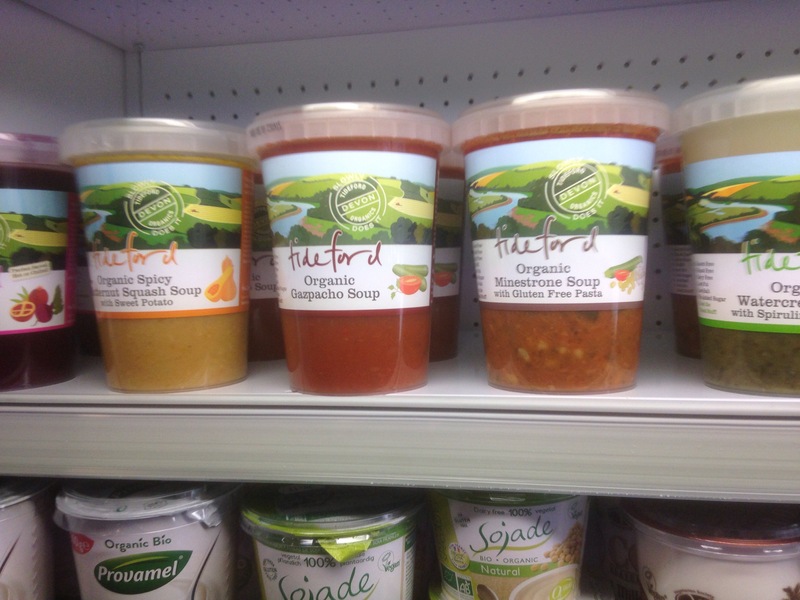 Won a GreatTaste award in 2012. Disclaimer: I was invited to Natural Health Foods to take some photos after mentioning to them that I was going to put a post on my blog on their opening. They gave me the products to try and pass on my honest feedback on what I thought. All opinions are my own and honest as always. Thanks to Simon and Susan for their time and showing me around their shop. « #Tastymorsel: Bring on the revolution: Tapas Revolution set to open up at Grand Central. 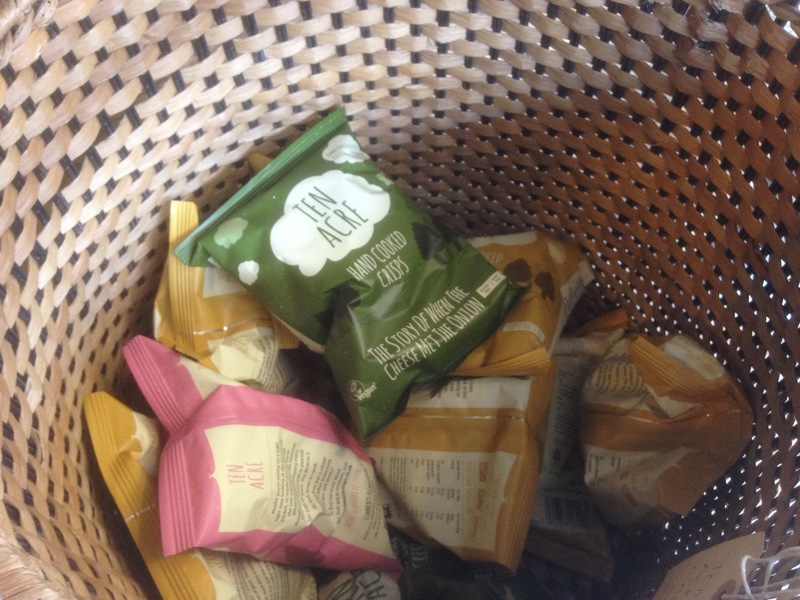 Very interesting – I think I’ll pop along and have a look at the labels to see what suits my low-sat-fat regime. Thank you. I’m sure there will be something there for you. They take suggestions to, so can order stuff in on request. 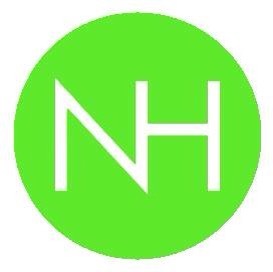 Their online shop should be live soon too. Some really great products they sell! I need to go and visit them when I am in Birmingham next time.. Definitely need to go and visit that vegetarian restaurant as well. I’ve been aware of it for a while now but just haven’t had a chance to visit yet. They do sell some very interesting products. With The Warehouse next door, it makes for a good lunch plus browse afternoon. Have fun when you go, look forward to hearing your thoughts. 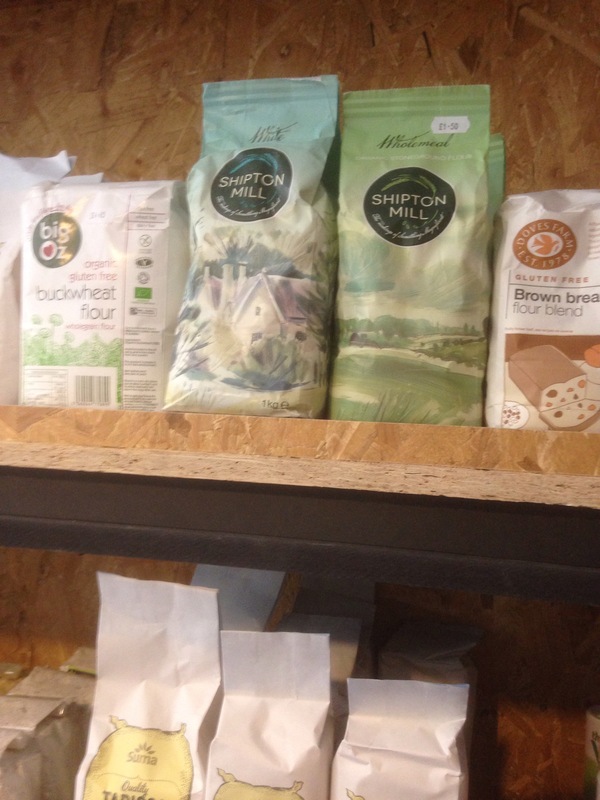 Plus, if you note that they don’t sell something you would like them to, then they will look at stocking it either in the shop or online. Their website is under a re vamp at the moment, but will have an ordering facility attached. I went there Saturday and was extremely impressed by their friendliness, their knowledge and their choice. It makes a fantastic change, as a vegan, to go into a supermarket and just pick what i want without checking the labels!! Enjoy your revisit Kate. Hoping to make it down again soon.